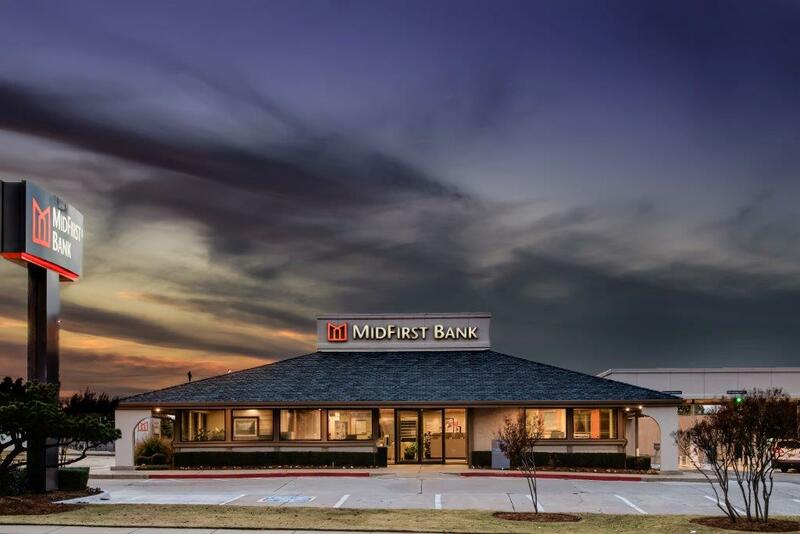 Like many of Praxis’ properties, the building that houses this MidFirst Bank branch has undergone some serious transformation—in this case from a restaurant to a bank. This is not the building’s only distinction, however; in 1983, it opened as MidFirst Bank’s very first branch. Praxis recently signed a long-term lease extension with MidFirst at this location.